It would not be unreasonable to ascertain that the majority of the population at one point or another have been in a position where improvisation has been required to make a game of cricket happen. A classic example of this is the highly popular band Noiseworks and their games of table cricket. This concept started backstage when band members were busting for a hit and improvisation was required. They were sitting around a table when an impromptu game began with a scotch bottle being used in place of English willow and an olive taking the place of a six stitcher. At thecricketlibrary.com, we are not at all fussy about how cricket is played as long as people are playing. 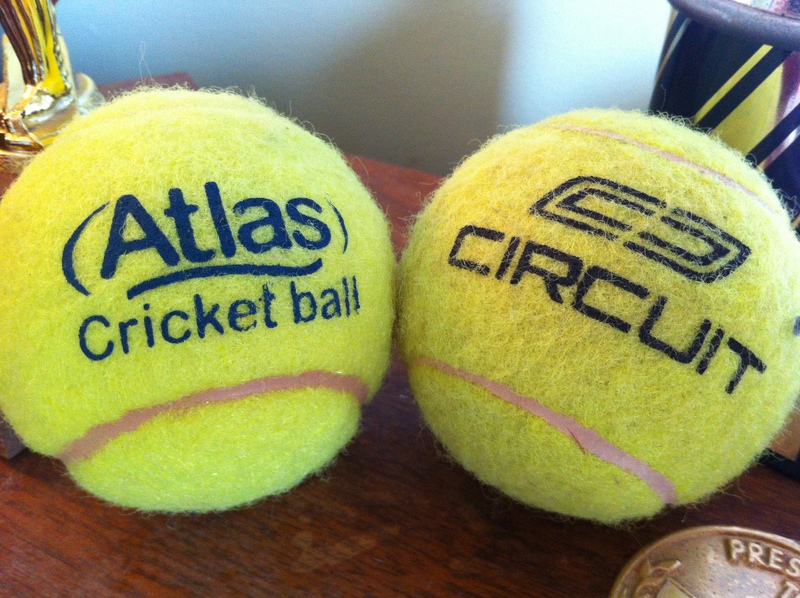 So whether you have access to a cricket ball, a circuit ball, tennis ball, golf ball or olive we don’t have any objections. Mind you if we had more talent, we would have the preference of white uniforms, a four piece red Kookaburra and five consecutive days to complete the game. All of this with appropriate stoppages for drinks, third umpire referrals, luncheon and tea intervals.